Brian Kelly is a composer and recording artist who began his musical career when he was a child. 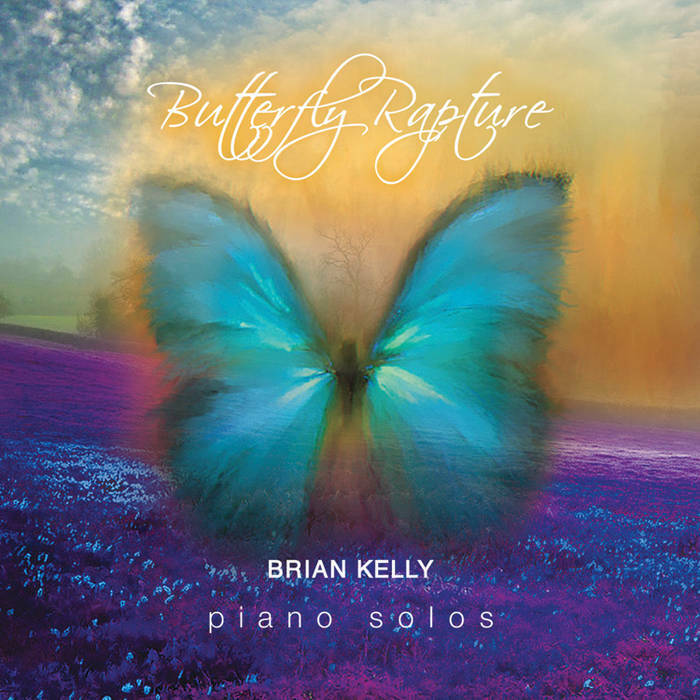 Butterfly Rapture is his third album done in the neoclassical tradition with influences ranging from Celtic, gospel and jazz. The album is a crisp solo piano experience, with sparkling composition and a resonance that sticks with you long after the last song plays. If you can stop listening. My play button is getting worn out on this one and what a joy that is. “Lilac Horizon” is a tender and fluid piece, with layered piano work that evokes imagery of the poignant life moments that linger. Pensive and thoughtful, the winding nature of this track flows together like the never ending gears of time. Always moving forward, no matter what. The horizon is always just out of reach and we struggle to grasp that elusive glimpse of what is to be. “Winter Aura” has a starkness about it that captures the essence of winter. Cold beauty claims the ruddy umber flavor of autumn and covers the land with delicate ice crystals and a blanket of soft white snow. The deep keystrokes and elemental playing delve deep into the introspective nature of this season of the year and bring forth the longing for home and hearth; of family and the familiar. At times playful and others more contemplative, this encapsulates all that winter has to offer, all from the masterful keystrokes of Kelly’s fingertips. “Butterfly Rapture” is the title track and last piece on the album. Tumultuous like a butterfly beating its wings against the vast expanse of sky, it opens its wings and shines beauty down upon us all. Vibrant colors move within each well-crafted portion of the composition. The melodies twist and frolic like a meadow filled with small beating wings and the brilliant majesty brought with every nuance and flutter. 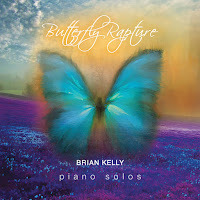 Butterfly Rapture is his first solo piano album and what a magnificent accomplishment it is. Solo piano can, in some instances, feel like a very long extension of the same song but not this album. Each track has its own flavor of music and takes the listener on a journey inside the mind of the artist. From snowy jaunts in “Winter Aura” to the first track “Piano Escapades” where we are first introduced to Kelly’s dazzling style, this album is a many faceted jewel any piano connoisseur will be thrilled to have in their collection.